It’s the first Tuesday of the month! And I’m a bit late as I didn’t notice the date change. Happy 4th July, American Peeps! 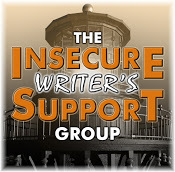 It’s time to share our hopes, dreams and fears with the Insecure Writers Support Group, the brainchild of Ninja Captain Alex J. Cavanaugh, and this month’s hosts are; Nicki Elson, Juneta Key, Tamara Narayan, and Patricia Lynne! This month’s optional question is; What are your ultimate writing goals and how have they changed over time (if at all)? My ultimate writing goal is to have a novel published (preferably more than one), and I’m still working towards that. What has changed over time is the genre. Initially I thought I was going to write thrillers, but as I progressed and relaxed into writing, my voice developed, and I became less self-conscious about what I wrote and less needy about impressing people (and hopefully more inclined towards entertaining people). As a result, I’m currently writing a Young Adult fantasy. I tend to think of writing as a journey. Where you start off is so very different to where you end up. There are many different paths to take and you get to meet all sorts of interesting people on the way. And you write YA fantasy very well 🙂 I used to dabble more in sci-fi/fantasy, now it’s all about mystery. My journey went in directions I didn’t expect, that’s for sure. You found your voice – now write true to you. Finding your voice is a big thing! I know some authors are still searching for theirs. I started off with a thriller as well. Then I did a historical novel. Now I’m trying something contemporary. Genre-hopper, that’s me. So same goals, and genre change(s) for me, too. But more back and forth for me – thriller, cozy, thriller, traditional mystery, finding settling on cozy. Enough dark in my world – I want light entertainment. I think that my main goal is to keep on enjoying the writing life. Good luck with the Young Adult fantasy. That is the best goal and just keep, keeping on. Happy IWSG!